September Sapphire is the ninth design in my 2016 birthstone cross stitch pattern series. Each month will be represented by it's birthstone. 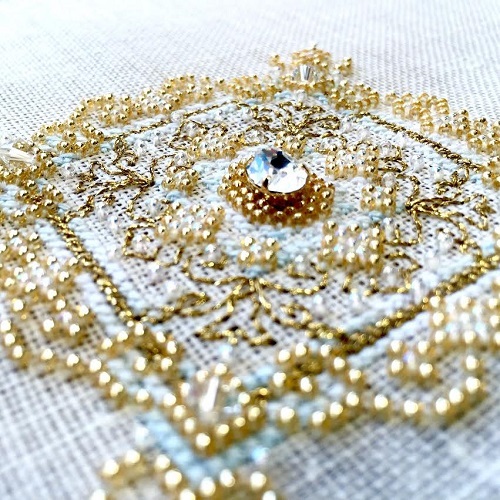 I envision people stitching their family's birthstones creating a gorgeous sampler or even a bell pull, similar to family rings.